In a meeting with health center leaders, Governor Otter proclaimed August 2018 as “Community Health Center Month” in Idaho. 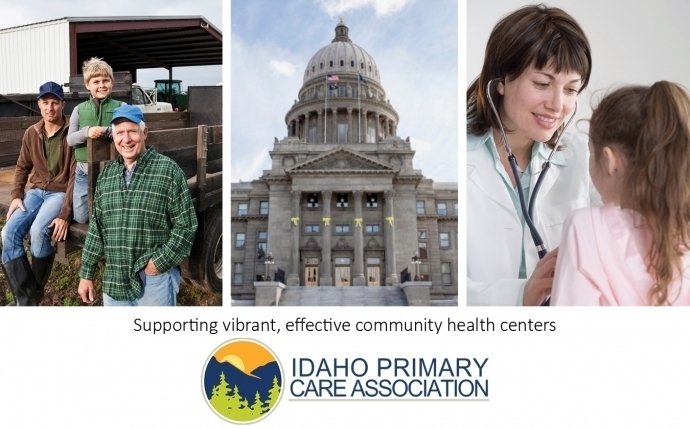 Idaho’s nonprofit community health centers are locally operated healthcare systems offering affordable care to improve the wellness of individuals and communities. In 2017, Idaho’s health centers provided comprehensive primary healthcare to over 183,000 people. They offer a patient-centered medical home where patients can access medical, dental, mental health, and substance use treatment together to provide care that is comprehensive and convenient. As an integral part of Idaho’s healthcare infrastructure, community health centers operate 16 organizations with 89 clinics across Idaho. Health centers support a healthy lifestyle by providing high quality and affordable services to everyone. For those who are uninsured or underinsured, a sliding fee payment scale encourages access. 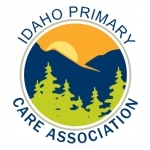 View a map of Idaho health centers and a brief description of primary care services these clinics offer. Photo: Governor Otter signs proclamation on 8/8/18. Yvonne Ketchum-Ward, CEO Idaho Primary Care Association looks on. Such is the case with Max Smith, the newest Physician Assistant (PA) to join Challis Area Health Center. Since his relocation, Smith and his family are adjusting nicely to a slower life in Challis – population 1,000, after leaving Las Vegas – population nearly 2 million. He enjoys his regular rotations with the Challis ambulance crew. Unlike his practice in Las Vegas, Smith and his colleagues are an integral part of the small town’s urgent care response team. 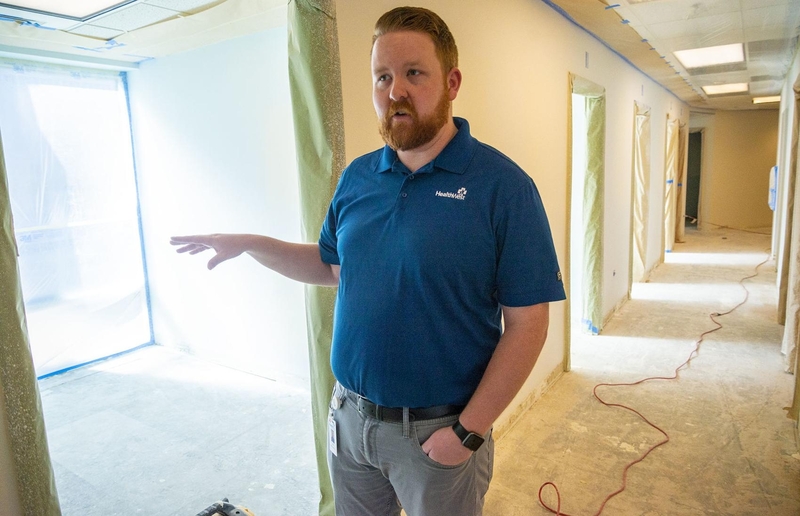 The Challis health center built a program that enables each of the clinic’s mid-level providers to ride along with the EMTs and volunteer drivers on all emergencies for one week each month. Smith attended Brigham Young University in Orem, Utah and completed a two-year mission to Mexico City. Read the article by the Challis Messenger. Like the rest of the country, Idaho is struggling to curtail the opioid epidemic. Since 2001, our state has experienced an increasing number of overdose deaths. 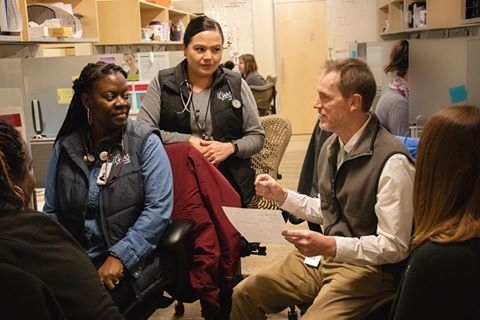 Idaho’s nonprofit health centers are stepping up to address this public health crisis by providing high quality and affordable services to everyone. For those who are uninsured or underinsured, a sliding-fee payment scale encourages access. According to the U.S. Department of Health and Human Services (HHS), the problem started in the 1990’s when pharmaceutical companies reassured the medical community that patients would not become addicted to opioid pain relievers and providers began to prescribe them at greater rates. Increased prescribing resulted in widespread misuse of prescription opioids before it became clear that this type of medication could be very addictive. In 2017, the Trump administration declared the opioid crisis a public health emergency and HHS presented a 5-point strategy to combat the epidemic. In August, eleven Idaho counties filed a federal lawsuit against some of the largest manufacturers and distributors in the pharmaceutical industry. Read more in the Idaho Press article, "Eleven Idaho counties sue drugstores, big pharma over opioid crisis."